I read this article and found it very interesting, thought it might be something for you. The article is called 10 Tips to Help Neurotypicals Understand Sensory Processing Disorder and is located at https://thebodyisnotanapology.com/magazine/the-neurotypicals-guide-to-adults-with-sensory-processing-disorder/. In honor of Sensory Awareness Month, this post is for you. Let me caution you that what I’m about to write isn’t everyone’s complete truth about SPD. All people of all backgrounds experience the world through slightly different lenses. As Albert Ellis of the REBT school of psychology believed, we are the products of our upbringing, our culture and family, our environment, and our circumstances. We all see the same world slightly altered by our perceptions, and although these perceptions are often warped and need to be re-evaluated, they are ours and ultimately no less valid. My experience of SPD, while “typical” is not necessarily the only and final word on the disorder, although it’s as good a place as any to begin. Think of this post as your cheat-sheet. It is your peek into the world of SPD. And hey look, it’s neatly numbered too! Just might be your lucky day. 1. We all are sensory beings. Your local butcher, the woman next door, the President, even you – we’re all sensory beings. Feel the breeze on your face? Hear the sound of chiming bells in the distance? See the flock of birds spiraling across the sky? Congratulations, my friend, you are human, you engage with the senses. Our senses usually work to help us understand the world around us. Siren blaring? Pull that car over, you might just be getting a ticket. Lose your balance on the subway this morning? The conductor probably hit the brakes too hard. Something crawling on your arm? Quick, flick it off. Stupid fly. 2. We all have eight senses (YES, eight! And the sixth isn’t seeing dead people, sadly). You ready for a list? Hang on tight. These are non-negotiable. 3. SPD is like a neurological traffic jam in which the senses don’t work properly. For those of us with SPD, the wiring in our brain is different. (Want to know how? Check out the groundbreaking study by UC San Francisco, 2013.) Because of these differences, we sometimes feel input from the senses more than you or less than you, or we don’t notice the input at all. Imagine that the sound of people talking one table over at a restaurant is so loud that you have to strain to hear the person sitting right next to you. Envision the fluorescent lights at a supermarket being so bright that you have to squint to read the names of the products on the shelves. Picture walking into furniture in your path because you cannot, for the very life of you, figure out where your legs end and the world begins. Now imagine all of these amazing things happening at once, vying for your attention. BEEP BEEP, HONK HONK. Where’s a traffic cop when you need one? 4. SPD is also like a soundboard, except the sound technician is terrible at his job. Welcome to my favorite SPD analogy. 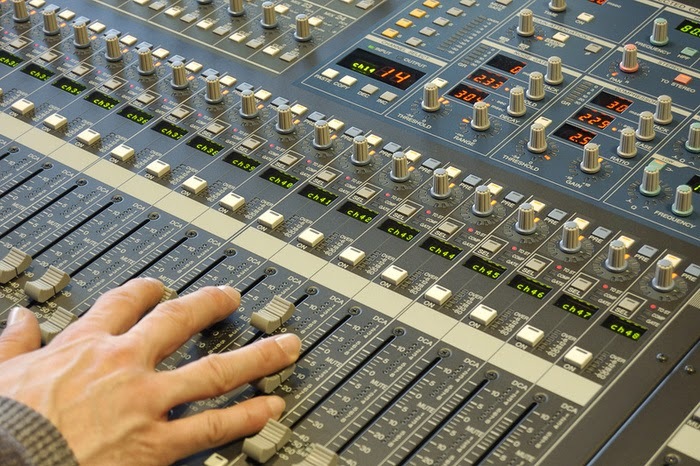 Imagine a sound technician working a soundboard like the one above, but he clearly has zero training. Some toggles are slid too far up, some are slid too far down, and sometimes he’s just on a perpetual coffee break and doesn’t give a treble about what’s happening on stage. SPD is that haphazard soundboard and that ill-hired technician all in one. For me, for example, the toggles for sound and sight feel like they’re pushed way up. I hear almost every small sound within earshot all at the same time, which can make outings like parties, concerts, theme parks, and zoos absolute nightmares. SO MUCH NOISE! NO END IN SIGHT! I see things similarly. When I’m feeling overwhelmed, it’s as if my eyes are taking in even the tiniest details within my field of vision – every shadow, every nook and cranny fight to be recognized by my brain through the portal of my eyes all at the same time. For me, sound and sight are always in competition. Sometimes I think to myself – so, do you want me to hear or to see? Cause I sure as hell can’t do both at the same time. However, my toggles for touch and proprioception are pushed way down. I give massive, engulfing bear hugs, and I demand them from pretty much anyone in my immediate vicinity. I hug landlords and dear friends, the woman who threads my eyebrows and my family. They must be deep, tight, and lengthy or it feels as if they haven’t happened at all. I am always fidgeting – softer, textured, and cooler objects get the most love from my fingertips. I also am perpetually looking to crunch on crispy foods and crash my body into solid objects (sometimes I’m not looking to crash into solid objects but I am mysteriously covered in bruises anyhow). I am known to drop eggs and knives at the most inopportune moments. My body is constantly asking itself – where am I? When our SPD gets out of hand (in SPD-speak “dysregulated”), our sound technician is essentially asleep at the soundboard, and the toggles have slid all over the place. When we use tools, exercises, and techniques from occupational therapists, physical therapists, and psychotherapists, our sound technician is *actually* *getting* *the* *hang* *of* *his* *job* – and our toggles are more evenly spaced. If lights are our problem, they feel less bright. If sounds are our issue, they feel less loud. With the right combination of help, the things we typically avoid, we avoid less, and the things we usually crave, we crave less. 5. SPD causes extreme emotional and behavioral responses. Imagine that I’m your favorite little sibling and I am poking you square in the eye. Repeatedly. Without stopping. POKE. POKE. POKE. POKE. At some point, wouldn’t you feel irritated? Wouldn’t you feel angry? Wouldn’t you scream and shove the little twerp out of your way? Wouldn’t you maybe avoid my pudgy finger in the future? Wouldn’t the mere memory of my incessant poking cause you some visceral reaction of frustration and irritation? Stupid kid, you’d grumble to yourself. When things annoy us neurotypicals and SPDers alike, we have an emotional reaction to them and then we have a behavioral response to them (in the example above, we get frustrated and we pull away). Because we SPDers can’t process sensory input in a typical fashion, most of the input we receive from the senses makes us feel like we’re being endlessly poked in the eye. It is supremely distressing. SPDers tend to become emotional in the presence of too much sensory input and also have a behavioral response. We yell, we cry, we flee the situation, we lay down on the floor, we bite people and things, we reach for our fidgets and talisman and anything to help us just get through the moment. For those of us diagnosed with SPD in adulthood, we’ve spent decades not knowing why we felt this way in moments when our parents, siblings, friends, and significant others were having no issues and saw no problems with a situation. If you and I were in a room together during an earthquake, I’m sure our reactions would be similar. Fear would pulse through our bodies, we’d feel off-kilter together, perhaps we’d shriek or duck under a table. Our twin reactions would be warranted. They’d make sense. But imagine being the only one reacting to a situation that others don’t even think twice about or notice. Envision clamping your hands over your ears and running out of the room – all in response to something seemingly benign – as everyone else looks on with judgment and in surprise. 6. What’s benign to you isn’t what’s benign to an SPDer. Our emotional and behavioral responses to what are thought of as “common,” “easy,” and “problem-free” situations (a picnic, an office holiday party, the library, a department store) – while warranted based on how we’re feeling internally (sometimes terrible) – look out-of-place and blown-out-of-proportion to those on the outside. Who fears the circus? Who shies away from a dinner-date? Who finds outdoor summer movies excruciating? Who is terrified of the local beer garden? SPD is much like that little pesky sibling I mentioned in #5, except we’re being poked and prodded almost all the time, even in moments deemed “enjoyable” by the neurotypicals in our midst. If the event engages our most sensitive senses to a point beyond our comfort level (read: that final sibling eye-poke before you lose your cool), we will often refuse to participate in the event or we will be forced to work supremely hard to keep ourselves feeling as well as possible during the event. (This is more taxing and overwhelming than I have room to properly explain in this post, so take my word for it). All of this while our brain’s faulty wiring is sparking wildly, our emotions are overflowing, and our gut is telling us to run away/hide in the corner/punch the waiter. 7. What’s enough for you isn’t what’s enough for an SPDer. In some ways, this is like the opposite of the eye-poking analogy I brought up in #5. 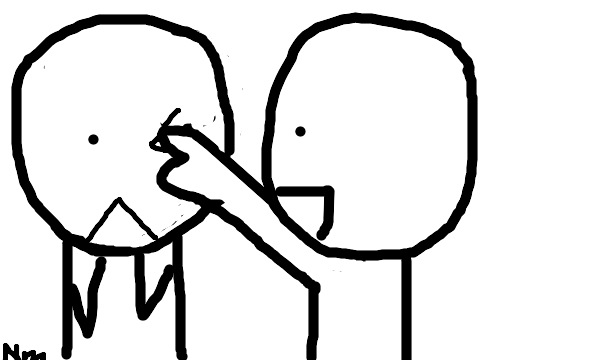 Here, we are almost asking our irritating sibling to just go ahead and poke us square in the eye and never stop. Please, we beg them, it’s somehow comforting and we’ll stop taunting you in front of your friends if you just continue. It’s a counterintuitive statement, but we sometimes need input from particular senses or we feel completely empty and devoid of their properties. Think about the soundboard again for a second. If certain toggles are slid down too low, the concert is missing crucial components (you know I’m all about that bass). All toggles need to be somewhat aligned for a being to feel in harmony, and because some of our toggles are too high and some are too low, we are desperately seeking balance. 8. SPD adults often have other diagnoses as well. Because we didn’t know what was going on with our systems growing up, and because we so often thought that we were just being crazy/strange kids, teens, and young adults due to our reaction to those “benign situations” I mentioned earlier, we learned to fear and avoid many places and activities in the event we’d feel uncomfortable. When our emotions and our behaviors have no noteworthy origin or cause to point to (“I feel awful because of X”), we’re left pointing at ourselves (“I’m a bad person, what’s wrong with me, I’m to blame”) and pointing out into nothingness (“this scenario is to blame”). We feel anxious and depressed and we assign deep meaning to the wrong things. Anxiety disorders and depression are supremely common secondary diagnoses for adults with SPD, but our issues can span the gamut. One person’s discomfort having food in their mouth (hey, gustatory system) can look like an eating disorder while another’s swinging moods (what’s up, dysregulation) can look like a personality disorder or a mood disorder. Some of these diagnoses exist on their own, some are SPD in disguise, and some are hard-wired patterns from decades of misunderstanding. If you ever sort out which is which, give me a call. You surely win a prize. 9. SPD adults thrive with multiple levels of treatment. Most people assume that SPD means occupational therapy, and they are partially right. OT is the place for SPD adults to begin their diagnostic journey. It’s the place where we’re given our diagnosis, we’re put on a “Sensory Diet” (exercises, tools, and techniques to help regulate our sensory soundboard), and where someone says, usually for the first time – hey good lookin’, you’re not crazy, you’re just wired differently. It’s a truly incredible experience, one that is many years in the making for most SPD adults. We SPD adults have lots of eggs in our sensory baskets (oh god, I hear you thinking, yet another analogy, Rachel?! Yes. Shut up. I have a plan here). When we’re kids, we don’t have a whole lot going on. We go to school, we come home. Maybe we have a playdate or two. Our brains are still growing and forming connections (a thing we call “neuroplasticity”) which means it’s easier for them to be rewired. Our SPD is in its infancy – it’s purely an uncomfortable internal feeling paired with a behavioral response (the classroom is loud so I will act out). There’s little emotion involved from a thinking and rationalizing perspective (“I must be anxious because . . .” is a phrase I hope SPD kiddos don’t utter). Families and schools swoop in, the kid lands in the talented laps of OTs, and all sorts of rewiring activities are undertaken. There are swings and beanbags and balls and discs. If kids have maybe just a few eggs, they’re placed in one basket, and that’s fine. It only takes that one basket to tweak what needs to be tweaked, and many kids can make so much progress in OT that they nearly grow out of their SPD diagnosis – YAY! Not to mention the ongoing development of self through activities that help us grow and bring us pleasure. That’s a lot more eggs than we had in childhood. We’ve misunderstood our own selves for decades, others have misunderstood us as well, we’ve assigned emotion and meaning to our discomfort and behaviors, and tada – what was once a few eggs is now a good few dozen. In my experience, it’s always best to diversify those eggs. The adults most successful at managing their SPD have been to most if not all of these three therapies. Now if only insurance would understand the need to cover them . . .
P.S. I could go on for days about this model, so email me if you have any questions or want to discuss it further. 10. Our tools and tricks may look funny, but they’re effective. I wear blue tinted glasses most of the time because they help me process visual information. I play (ahem, “fidget”) with fur-covered statuettes shaped like animals because they feel good on my fingertips and help me calm down. I sleep under a 17 lb. blanket because it helps me understand where my body ends, and so I can rest enough to fall asleep. I tote around two different decibel-levels of earplugs at all times. Normal? Not really in Neurotypicalville, quite common in SPD Land. Helpful? Yes. One hundred times, yes. Worrisome for you? Nope. We do what we can to keep our senses regulated, and these techniques, among others, are highly effective. 11. We’re not that different from you . . . and yet, sometimes, we are. You know this already, remember? 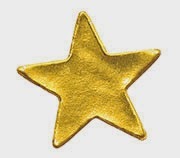 I gave you a gold star for your open-mindedness, and I truly believe that nothing I’ve said here is too bizarre or complex to grasp – surely nothing is beyond your warmth and kindness. In a world where we all engage with the senses to some degree, SPDers just engage with them a bit differently. They can be overwhelming or underwhelming, they can cause emotions and behaviors to surface, and we have therapies and ways of keeping our unique needs at bay. We still get up in the morning, brush our teeth, and make breakfast. We love our families and friends. We work hard and we play as hard, when we’re able. Somewhere in between, though, things get a bit iffy for us. We feel overwhelmed, we get scared, we fight against that very old, negative voice inside that says – hey wackadoodle, you are strange. Learning to love yourself takes more than just self-care and positive self-regard, it also takes a community. Join us for our free webinar 10 Tools for Radical Self Love. Rachel S. Schneider, M.A, MHC is a mental health counselor and proud Sensory Processing Disorder (SPD) adult. She was diagnosed with SPD in 2010 at age 27 and since then has advocated for adults with her neurological condition through her writing and related outreach projects. Rachel authors the blog Coming to My Senses at www.comingtosenses.blogspot.com, maintains a website on adulthood SPD at www.rachel-schneider.com, and leads a Facebook support group for adults with SPD at https://www.facebook.com/groups/SPDAdultSupport. She frequently blogs for the Sensory Processing Disorder Foundation and was featured on the third episode of the SPD Parent Zone Podcast in September 2014 (available for free on iTunes at https://itunes.apple.com/us/podcast/spdparentzones-podcast/id918833845). Rachel lives in New York City with her husband and she firmly believes that her body is not an apology – it is a triumphant shout. This piece first appeared on Rachel’s blog, Coming to My Senses, and is reprinted here by permission. Thank you so much for this information as until now I did not know of SPD. This information makes so much sense of a childhood friends behavior. Oh my gosh, I didn’t even know this was a thing. Thank you for sharing! Thanks for this! Both my kids have sensory complications (one with SPD for sure, the other may be in combination with ADHD). Even though you explain how some of the issues are different for adults, it is incredibly helpful to have an articulate adult explain what might be going on in my children’s minds and bodies when they cannot describe it. Wonderfully informative article! As a woman with SPD and a mother of a child with TS, ADHD and SPD I can relate and yet I still loathe the term neurotypical. It is bashed about quite freely as a subtle unsult and directed at people usually to make them feel bad for how obviously ignorant they must be for having typical neurology. Just one woman’s humble opinion on that label. A great article, excellent for the uninitiated, thank you for sharing! Now to be a bit critical, I agree with J. Law below regarding some of the terminology used here. The use of ‘neurotypicals’ and ‘SPDers’ is particularly divisive. I’m also not too keen on the use of the term ‘disorder’ used in this context. The high degree of variability in how people process sensory information, I believe, all falls on a continuous spectrum, or in statistical terms a bell curve. In short, I feel we are all varied in our sensory processing abilities. Most people would be unwilling to characterize themselves as having a disorder, but the fact remains everyone differs in how they perceive things and how their respective senses function. I also feel the same way about labeling people with attention ‘deficits’ as having a disorder is separating out large sections of our youth to be looked upon by others as in some way afflicted and effectively become a ‘they’ instead remaining a part of the ‘we’. I’m not saying these people don’t have challenges to face in order to maximize their capabilities and their opportunities in life, quite the opposite, just try to roll down the window in my car to that certain level where the incoming air throbs in my ears. Honestly I’m surprised I haven’t had an accident before now. Let me finish by asking a hypothetical, do people who identify themselves as homosexual have a ‘disorder’? Or, as I would contend, are they actually just part of the ‘we’ who find themselves at a different point of the human sexuality spectrum? As I said, an excellent article, thanks for sharing, ‘we’ have a lot to talk about, and ‘we’ have a lot of work to do! I find nothing divisive about differentiating between a typical neurology and the neurology of a person with SPD. It’s simply stating a difference and pitching the post to people who might not understand how we folks with SPD engage the world through our senses. Sure, I’m different. I’m also disabled. I also have a disorder. No shame there. The analogy with homosexuality makes no sense to me as a queer disabled woman. My queerness does not in any way cause me physical pain. My SPD does. They are not analogous. Disability is not comparable to homosexuality, particularly when disability involves pain and fatigue. The only real connection between them is that some disabled people are also queer, and that both gay and disabled people are discriminated against because of the ways in which our bodies work. That’s it, full stop. What we need to do is to get rid of the shame around the word “disorder” and the ways in which people are marginalized when they are diagnosed with one. But having a disorder, and calling it a disorder, is not, in itself, a mark of judgment on anyone. I have sensor Intergration disorder. I was diagnosed when I was in the second grade. I don’t remember all the therapy I was in. I remember space because it affects how I speak even now. I loved your writing because it gives a glimpse of what people can go threw. I have several questions. Can a this act up 8n times of stress? I’m glad that I came across this article! I have a need to touch textured things. I didn’t know that this was a thing. I just thought that it was a weird thing about me. When I decided to Google about it pretty much all I found was information for children who have it. Do you know where or how I can get more information about this?